June 30, 2010  Germany's federal assembly votes on a new president Wednesday. The position is a largely ceremonial post but it is turning into a serious political test for Chancellor Angela Merkel and her political coalition. June 14, 2010  The EU is still trying to convince skeptical financial markets that it has a clear and unified strategy for stopping sovereign debt problems from infecting other economically troubled eurozone countries. But a meeting of the leaders of France and Germany did little to assuage fears. June 8, 2010  The German government has announced a package of spending cuts intended to keep the country's sovereign debt in check. Chancellor Merkel says Germany needs to save around $100 billion over the next four years. She also hopes other countries using the euro will follow Germany's lead and introduce their own austerity programs to help strengthen confidence in the currency. June 5, 2010  In the German town of Goettingen on Tuesday, three workers were killed and six wounded while trying to defuse an 1,100-pound Allied bomb -- a tragic legacy of World War II. 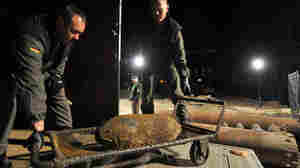 In Berlin alone, officials estimate there are still some 4,000 unexploded pieces of ordnance. May 3, 2010  A rock 'n' roll pioneer, Orbison possessed a distinctive voice and melancholy style that had a tremendous influence on American rock and pop music. 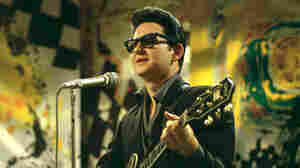 Orbison co-wrote and recorded such classics as "Only the Lonely," "Crying" and "Oh, Pretty Woman." 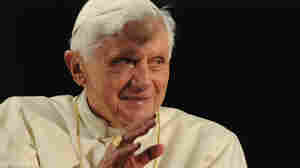 April 26, 2010  Reports by Dutch media about sexual abuse from the 1950s through the 1970s have prompted a wave of new allegations against the Catholic Church there. Some who say they were abused by priests at Catholic boarding schools across Holland want to ensure it's sufficient and independent. 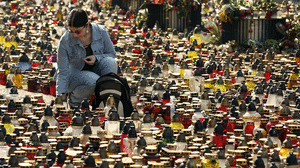 April 19, 2010  A week of mourning came to a close in Poland Sunday. In Krakow, President Lech Kaczynski and first lady Maria were laid to rest inside the venerated Wawel Cathedral after a state funeral. The president and his wife were killed in a plane crash earlier this month along with dozens of other senior Polish political and military officials. April 18, 2010  Polish President Lech Kaczynski and his wife, Maria, were laid to rest Sunday in Krakow. An elaborate state funeral drew tens of thousands of mourners, including leaders from Russia and other nations. Among the missing were the presidents of France, Germany and the U.S. Volcanic ash has grounded flights throughout Europe, preventing those leaders from making the trip. April 17, 2010  Volcanic ash has stranded air travelers across Europe. We get a snapshot of the chaos, beginning in London with Vicki Barker and moving to Paris, where NPR's Eleanor Beardsley says many are opting for trains — if they can get a ticket. In Krakow, NPR's Eric Westervelt reports the volcanic ash is making attendance tricky for many world leaders hoping to attend the state funeral of the Polish president and first lady. April 12, 2010  Russian investigators say preliminary analysis indicates there were no mechanical problems on board a plane that crashed over the weekend and killed Poland's president and other officials. Some say it's absurd that the president and other VIPs were flying in a 26-year-old Russian aircraft despite several warnings from senior officials that the aging Polish fleet desperately needed to be replaced. April 11, 2010  Poland has declared a week of national mourning after a plane crash Saturday killed 96 people, including Polish President Lech Kaczynski and the first lady, as well as dozens of Poland's military, political and religious leaders. While many Poles are still in shock, they're also asking questions about the government’s fleet of aging aircraft. April 7, 2010  The economically depressed city of Leipzig has one of the highest unemployment rates in Germany. But a unique musical group, the Bohemian Choir, is restoring a sense of identity and self-worth in long-term jobless residents. 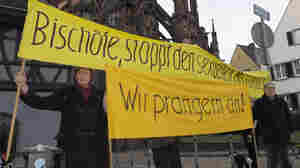 April 2, 2010  The head of the Roman Catholic Church in Germany expressed "shame" at the scandal, and a hot line for victims of abuse by clergy and church employees has been set up. But victims groups continue to press for action from independent investigators and the German government, saying the church has shown itself unable to investigate its own crimes. March 29, 2010  A child-molesting priest in Germany was treated for pedophilia in Munich in the 1980s, when Pope Benedict XVI was the archbishop there. The doctor who treated the abusive priest says his warnings went unheeded. 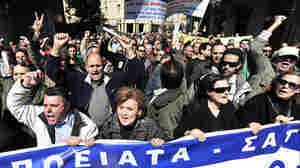 March 25, 2010  The Greek government is vowing to finally crack down on tax evaders as the country faces crippling debt. But the new effort faces enormous challenges — from apathy and a culture of tax evasion to bureaucratic inertia and technical obstacles.